It has been about a few hours now since i heard the news about Robin Williams passing away. And from that moment, when i read those lines, my head is just messing up with me. I don't know why, but i just can not keep thinking about this amazing actor, and his iconics roles like Mrs Doubtfire or Mr Keating in the "Dead poets society". Maybe because Mr Williams was with me growing up… These roles were literally part of my childhood. HE, was part of my childhood. Cela fait maintenant quelques heures a peu près depuis que j'ai appris pour la mort de Robin Williams. Et depuis ce moment où j'ai lu ces lignes qui annonçaient sa mort, ma tête est en vrac. Je ne sais pas pourquoi, mais je n'arrête pas de penser à ce magnifique acteur et a ces rôles iconiques comme "Madame Doubtfire" ou Mr Keating dans "Le cercle des poètes disparus". 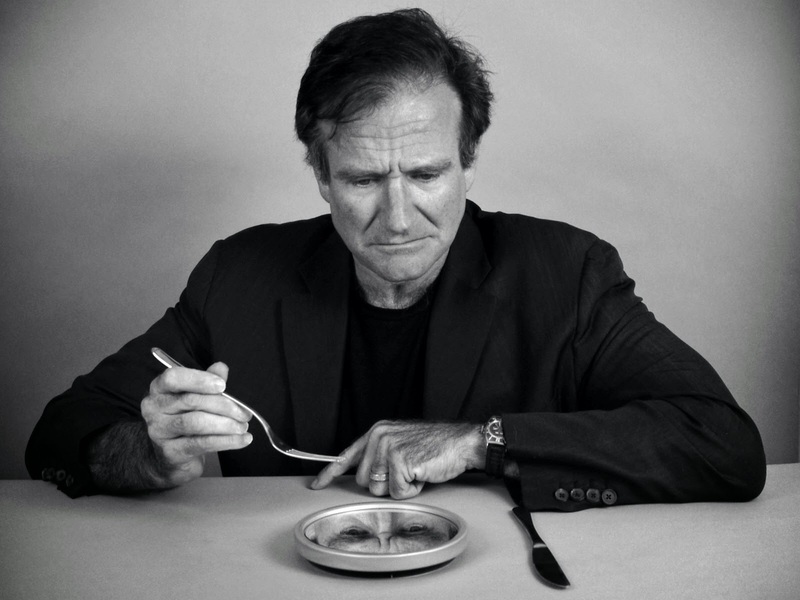 Peut-être parce que Mr Williams à fait partie de mon enfance. And hearing about stories like this always brings back bad memories, because if you ever had to go threw depression, you will know how hard it is to get out of it. Now, don't get me wrong, i am not trying to teach you guys a life lesson or anything, but i want to share a bit of my experience with that subject and, let's hope, spread a bit more of awareness, because as i was scrolling on twitter, as much as i saw a lot of support for the maestro, i also saw a lots of hate tweets about how it is, and i quote: "Easy to run away from your problems by killing yourself", and other stuff like that. Et apprendre pour des histoires pareilles me rappellent toujours de mauvais souvenirs, parce que si vous n'êtes jamais tombé en dépression, vous ne savez pas quel point il est difficile de s'en sortir. People who never had to go through this, will never understand, and i will never blame them, but try to be respectfull. I always promised myself that i would never do this kind of articles on my blog, but this subject is really close to my heart, so i will share with you a bit of me. Je me suis toujours promis que je n'écrirais jamais ce genre d'articles sur mon blog, mais ce sujet me tient vraiment à cœur, et j'ai donc envie de partager un peu de moi. As i was going through my teenage times, i really had a hard time. And i am not afraid to confess that i did have been depressed. Big time depressed. And YES, sometimes it is hard to keep fighting, and dark thoughts are going through your mind, and yes, sometimes, you will loose the will to live. You do things that you are not proud of, i know i did, but some of us are strong enough to keep fighting and some of us, are less. J'ai eu assez bien de moment difficile pendant mon adolescence, et je n'ai pas peur de confesser que j'ai été très déprimé a certains moments. Et OUI, parfois il est difficile de continuer à se battre, et oui, des pensées noires traverseront votre esprit constamment, et oui, parfois vous perdrez la volonté de vivre. Vous ferez peut-être des choses dont vous n'êtes pas fier, mais certains d'entre nous sont assez fort pour surmonter cela, et d'autres moins. Mais, qui sommes nous pour les critiquer? If you are going through a bad time/depression, please, do talk to people. It can be your friends, it can be a professional, but you need to let it out, not keeping it to yourself. For me, the moment i started to get better, is when i admited to myself that i was going through a massive depression, which kind of is the hardest step to make. Admit that you are not ok. When you do, it will be easier to talk to people, easier to get better! Si vous traversez ce genre de moment difficile/dépression, s'il vous plaît, parlez-en. Ça peut être à un ami, a quelqu'un du métier, mais ne gardez pas ça pour vous. Pour moi, le moment où j'ai commencé à aller mieux, c'est le moment ou j'ai admis que je n'allais pas bien, ce qui est en quelques sorte le plus difficile pas à faire. Admettez que vous n'allez pas bien, quand vous l'aurez fait, il sera plus facile d'en parler et plus facile d'en sortir! You will only grow stronger. Vous n'en sortirez que plus fort. And to you, Mr Robin Williams, thanks for being the human, actor that you have been. Thanks for the memories and may you rest in peace now. Et à vous, Mr Robin Williams, merci d'être la personne, l'acteur que vous étiez. Merci pour les souvenirs, et j'espère que vous trouverez enfin le paix. Love, Kenzo, one of the milions of Lost Boys. Kenzo, un des millions d'enfants perdu. "No matter what people tell you, words and ideas can change the world!"